Solar panel cleaning is not that different from cleaning your windows. And sometimes can be just as dangerous. At World Glass Window Cleaning, solar panel cleaning and maintenance is one of the many services we provide. A solar panel typically consists of solar cells covered by a protective glass coating, and just like your windows it needs cleaning. Being that solar panels are usually located on one’s roof, cleaning solar panels can be a tricky endeavor for a homeowner to undertake. The correct equipment and safety precautions are best left to professionals to ensure the panels are properly taken care of, and most importantly, no one injures themselves while trying to clean the solar panels. 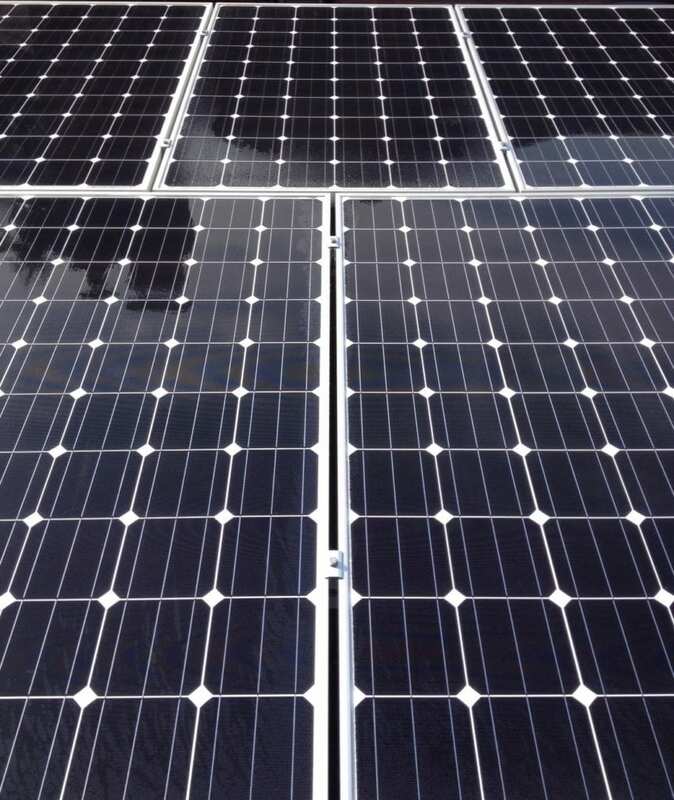 DO SOLAR PANELS LOSE ELECTRICITY IF NOT CLEANED? Pollution, traffic dust, leaves, and bird droppings contribute to preventing sunlight from reaching the solar cells in your solar panels. The more dirt accumulated, the lower amount of electricity solar panels will produce. That loss may be as high as 25%. World Glass Window Cleaning uses a Water Fed Pole Filtration system to clean your solar panels. This Consists of a long composite pole with the boar’s hair brush, and resin filtration system. The pole can extend to 35′ reaching the hardest to access points and brushing off any debris on the panels. The filtration system provides water which is of the same ultra-clean water that is used for cleaning microchips and semiconductors. You . . . No worries and clean solar panels. The picture above is what a solar panel looks like after we clean it with our water fed pole filtration system. Call or E-mail for your Solar Panel Cleaning needs.